China's country's rubber-stamp parliament today ratified a historic constitutional amendment abolishing the two-term limit for President Xi Jinping. "Xi Jinping has created an enormous personal power," he said. 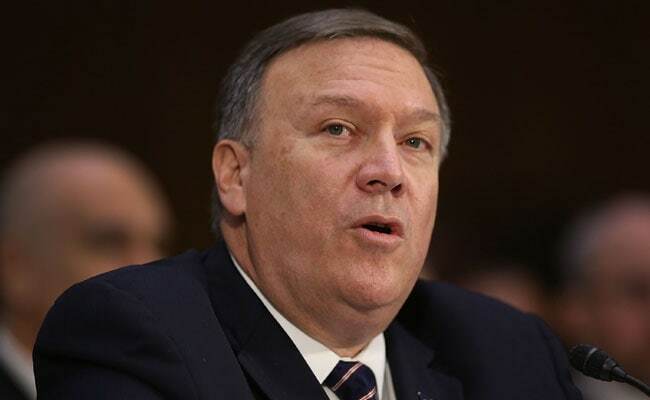 The Trump administration has been very clear of "pushing back" against the Chinese threat, CIA Director Mike Pompeo said today as China's rubber-stamp parliament allowed President Xi Jinping to rule indefinitely by abolishing the two-term limit. Pompeo said the Trump administration is prepared and engaged in pushing back against the Chinese threats so that America can have a good relationship with China in a way that the world desperately needs. "If you look at the president's national security strategy, it was very clear that what the Chinese are doing, whether that would be on trade or the theft of intellectual property or their continued advancement in East and South China Seas, this administration is prepared and engaged in pushing back against the Chinese threats so that we can have a good relationship with China in a way that the world desperately needs," he told Fox News. Asked about China's parliament ratifying a constitutional amendment that abolishes the two-term presidential limit, he said, "It's the case that Xi Jinping has created an enormous personal power. He has taken many of the levers of power that were from time to time more dispersed. But from America's perspective, this administration has been very clear of pushing back against the Chinese threat." China's country's rubber-stamp parliament today ratified a historic constitutional amendment abolishing the two-term limit for President Xi Jinping, paving the way for his continuation in power perhaps for life. Set for his second five-year term as President this month, 64-year-old Xi, the most powerful leader in recent decades heading the ruling Communist Party of China (CPC) and the military, will now be the first Chinese leader after the founder chairman Mao Zedong to remain in power lifelong.